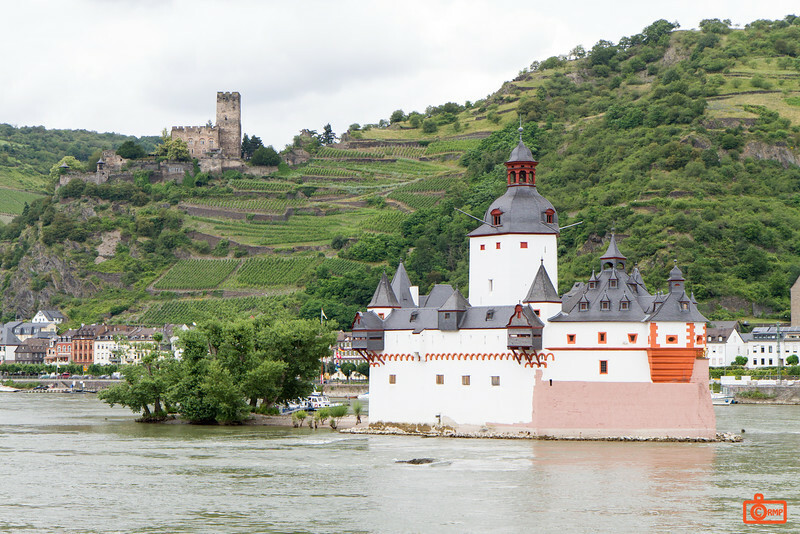 The highly unusual looking Pfalzgrafenstein Castle is a toll castle in the Rhine River. The original keep was built in 1327, and was expanded over the years to its current configuration. In the background is Gurg Gutenfels.